Morrison Home Health maintains a comprehensive range of health services though professionals: nurses, caregivers, therapists and social workers. We can help you keep the highest level of independence at home as realistically allowable by your condition. 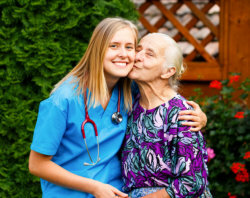 The improvement of your health through the services we offer is the goal of Morrison Home Health. Leaving the hospital or care facility doesn’t mean the care you receive can be substandard. This is all the more reason to raise the bar in quality home care services. Talk to us about your needs. Call 757-393-1300 today.